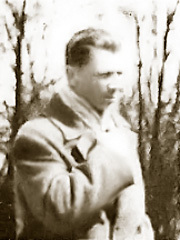 Ryszard Wojciechowski’s parents came from Slawin near the town of Lublin. Slawin was a quite large village situated on an interesting hilly area near the highway, which now is called the Warsaw Avenue. Wojciechowski’s family owned there a pretty big piece of land with a modest house and a nice orchard, as well as the field beyond the small river. This area was annexed to Lublin and the village was promoted to be one of the districts of the city. 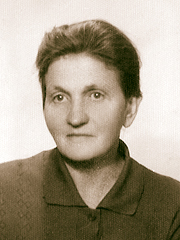 Stefania Wojciechowska nee Korycinska, Artist’s mother, was a very warm and patient person. Working hard in the country and raising seven children she was open to all the problems of human life. This is followed by Richard inherited sensitivity to the man and his toil, which later found expression in his art. Stanislaw Wojciechowski, Artist’s father, in contrary to his wife, had impetuous character and was a stubborn man. In relation to their children was demanding, but he was also for them a good example of great diligence. Stanislaw was likewise very gifted manually. 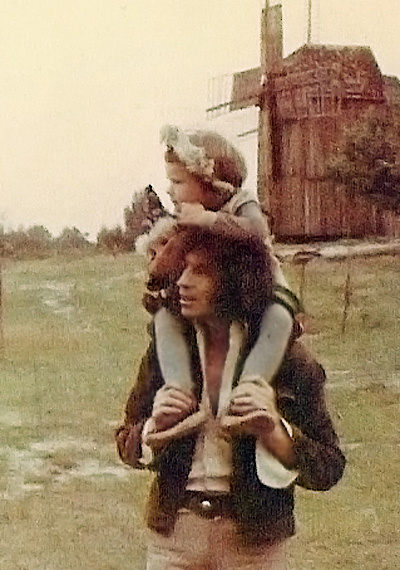 He inherited this from his own father who was working as a performer of violin. 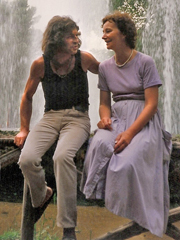 The Artist and his wife Anna in Italy, in one of Rome’s parks. 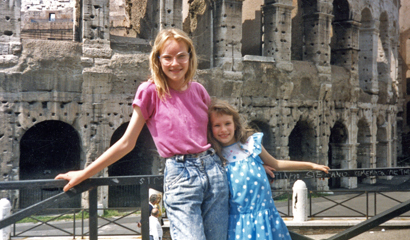 The Artist’s daughters Ewa and Kinga in front of Coliseum in Rome, 1989.